Alessia Cara rose above the hate and returned to social media to celebrate the release of “The Pains of Growing.” The album is all about coming out on top after dealing with hard times. The Canadian artist started writing most of the album before she won the Grammy. 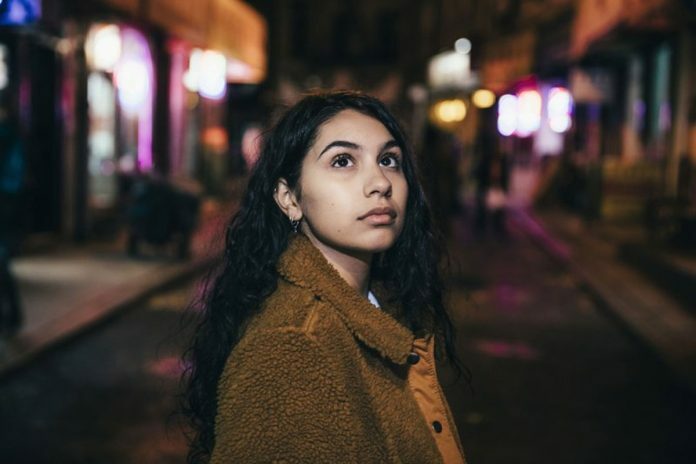 One day Alessia Cara got a request from a friend: Write a song about my breakup. Cara burst on the music scene in 2015 with the Top 5 hit, “Here.” She went on to launch more Top 10 successes with “Scars to Your Beautiful,” ″Stay” with Zedd and “1-800-273-8255” alongside Logic and Khalid. And her debut album, “Know-It-All,” achieved platinum status. With all the success comes criticism, and Cara got her fair share of it. When she won the best new artist Grammy earlier this year, some felt she didn’t deserve to win over acts like SZA and Khalid. And even this week, the singer took a short break from social media after she posted the nasty comments she has received from people online, including words like “ugly,” ″fat” and others we won’t print here. ″(It) was my way of finding silver lining … and reminding myself that every type of pain is something that we can grow from,” she said. “I think the first album was such a process of, ‘Well, these people want me to do this’ and ‘the label wants me to do that’ and ‘this writer wants me to do this’ and ‘this is the sound that they want me to do,’ and here’s me trying to incorporate myself into all of this,” he said. “And this album was just purely her. Like, ‘This is what I wanted it to sound like. This is what I want to talk about it.’ She literally wrote every song on the album 100 percent on her own.